In modern world, everything heavily depends on technology. Companies and business have their important data stored on computer with no backup files. For business, big or small, data loss from hard drive can be disaster, and yet, statistics show that more than 80% of hard drive data loss can be fixed. There is a number of methods and chances of successfully recovering lost files from hard drive as long as lost data is not totally overwritten. People living in this age of computer and Internet frequently work with plenty of computers and laptops and process numerous files. These files include documents, important articles or essays, family pictures, self-made videos, etc. All these significant files can be deleted or formatted just due to a simple click of a button or press of keys. 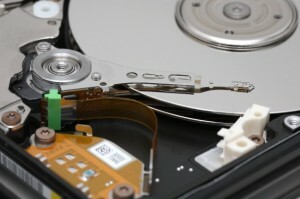 File recovery from hard drive and other storage devices is a necessary skill that should be mastered by each computer user. Though we take cautions to avoid data loss, it happens to many of us for all kinds of reasons. Loss of files may take place just because of accidental deletion, unwanted formatting or unexpected power failure, etc. When this happened to you, you may be frustrated and feel hopeless. In fact, you do not need to be regret, for you can get them back by way of using certain software which is specially designed to recover lost files and folders. Plus, there are various such programs available on the Internet, some are for professionals and some are for common users. How does hard drive recovery software work? Data recovery application scans each sector on hard drive to trace files as many as it can. While searching for files, it locates and analyzes lost data so that they can be displayed with original files and directory structures. It can be a time-consuming task sometimes especially when the partition or hard drive being scanned has huge space or there are too many files waiting for recovery. Recovery software for hard drive such as Eassos Recovery also makes deep scanning with its advanced algorithm in purpose of guaranteeing the file integrity. Though Eassos Recovery provides powerful and overall functions for various hard drives file loss, we should follow certain rules to increase the chance of successful recovery. This is because lost files can’t be fully recovered once they get overwritten. Do not save files to hard drive after data loss, and carry out hard drive recovery as soon as possible with efficient software. Stick to steps of program and contact tech support when something is beyond your knowledge.